Jesuit volunteer Laura Muller is the 2016-2017 program coordinator for Grays Harbor Youth Works. Laura Muller, a native of Manhattan, Kansas, has found a new home and task in Grays Harbor for the 2016-2017 school year. 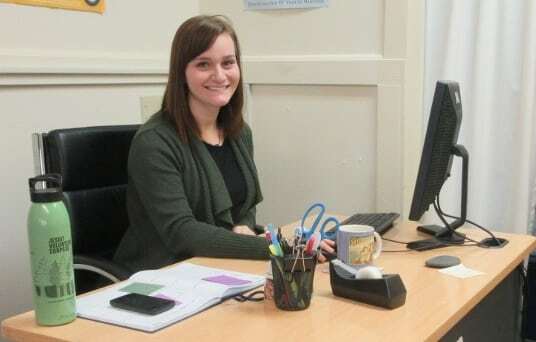 She serves as program coordinator for Grays Harbor Youth Works. This non-profit organization provides on-the-job experience for high school students aged 16 to 19 by means of internships with local business partners. Laura graduated in Communication Sciences and Disorders from Rockhurst University in Kansas City. Before pursuing her Doctor of Audiology degree (Au.D), Laura decided to take a break from academia. “I wanted to do something bigger than myself,” she explains. “I was introduced to the Jesuit Volunteer Corps Northwest on campus.” While a move to Grays Harbor and this particular position “wasn’t really on my radar,” Muller says, the Jesuit service organization, an AmeriCorp member, matched her with Grays Harbor Youth Works and she has found happiness in this new work. And, it is obvious that this eloquent and enthusiastic young woman is an asset to the organization. 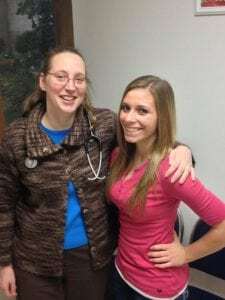 In order to pursue this mission, GHYW has found solutions in partnering with Catholic Community Services of Western Washington (CCSWW) who allot two Jesuit volunteers to GHYW with an additional three serving locally at St. Mary’s Catholic Church, the YMCA, and the Grays Harbor County Health Department. “At this point, CCSWW is a kind of shelter for GHYW. They aim to become an independent organization in the future,” Muller explains. One of Muller’s tasks as program coordinator is seeking out area high school juniors and seniors through a screening process with the aid of local principals and guidance counselors. Students fill out a two page application form in which they indicate three industries they are interested in. They are also asked to describe briefly what they would like to learn in an internship. Muller finds a matching business host based on the application, the student’s resume and a required letter of recommendation. Internship sessions take place from January to June. There is a winter session from January to March and a spring session from April to June. Students can choose between 30, 60, 90 or 120 hour internships. 90 hours earn one half high school credit, 120 hours earn one full credit. Students also receive scholarships: $100 for the 30 hour option, $200 for all others. 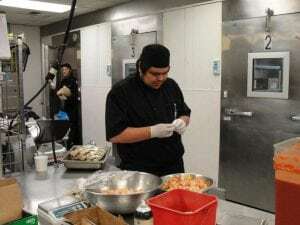 Intern David Estavillo is working in the kitchen of the Quinault Beach Resort and Casino. Photo credit: Connor Kelley. After identifying a suitable match, Muller forwards the application materials to the business host who assigns a mentor to the intern. Students, employers, mentors and parents attend an orientation which will include mock interviews in 2017. This new feature will give participants a better understanding of who they are going to work with and more of a “real job” feel. The week after the orientation, students begin their internships. Next to industry specific occupational skills, there is an emphasis on soft skills identified as most relevant by the Washington State Employer Survey. Employers value a positive work attitude, positive work habits and communication skills. Learning these skills and being able to document them will considerably enhance a students’ future career. Muller supports students throughout the internship, troubleshoots and functions as mediator between student and their business host. “The internships allow students to develop maturity,” Muller says. Although her intervention is rare, some students become overwhelmed by the work environment and a few drop out in spite of her efforts. 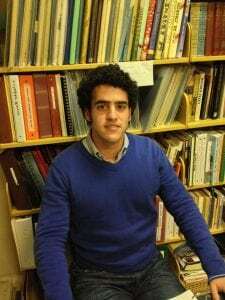 Andres Valdez is gathering job experience during his internship with the Aberdeen Museum of History. Photo credit: Connor Kelley. Sometimes, codes of behavior are not as obvious to students as they are to the employer. Making personal phone calls on the job or visiting Facebook on the company computer may seem perfectly reasonable to a student but may not be acceptable in a work environment. This is all part of the learning process, preparing students for the world outside high school. At the end of the internship sessions in June, a recognition event is given for students and business hosts. Certificates of participation are awarded to the interns. Dr. Cato has always focused on student input and this year, for the first time, a student, Rachel Wiechelman, has been included in the board. Unlike similar internships, GHYW actively seeks to recruit business hosts to match a student’s profile. The positive result of this effort is measurable with 35% of the interns since 2014 offered part time jobs. Employers also benefit from the program. They profit from the unique opportunity to get to know a potential employee and mentoring a local youth. The Grays Harbor business community has been very supportive. Hosts last year included such varied businesses as the Grays Harbor Seaport Authority, a number of restaurants and healthcare clinics, the Quinault Indian Nation Police Department, Jodesha Broadcasting, the Polson Museum and Hooper Financial . Muller mentions a special benefit experienced by Hooper Financial in Montesano. Working with their intern, they identified an opportunity to expand their business and to create a nonprofit organization. Laura Muller helps match business needs with student interests to create the most successful internship placements. GHYW recently received a $15,000 Washington STEM Learning Labs grant to be used for overall operation expenses. In addition, Muller is excited about a presentation to be given at the Washington State Governor’s Summit in May 2017. Dr. Cato, Muller and student interns will talk about their experiences with GHYW internships and the unique program’s positive impacts. For information about GHYW call Muller at 360-593-2446 or email graysharboryouthworks@gmail.com. Applications and detailed information for students and business hosts are available at Grays Harbor Youth Works.com or on Facebook at GraysHarborYouthWorks.